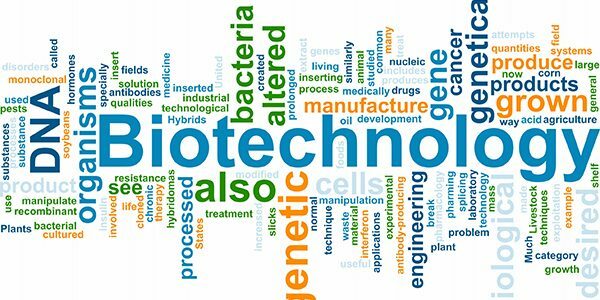 Biotech Stocks: No Easy Way Out, But Almost There! The biotech stocks have been facing an uphill task in an election year to participate vigorously in the broader market rally. Time-and-again, as things have come together for the lagging sector to push higher, it is either time for the market to consolidate or for some ill-timed tweet to blow-out the concern level on the risk barometer. 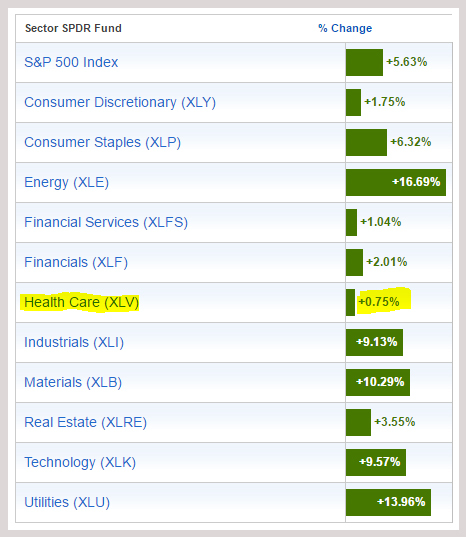 The broader healthcare sector performance this year, as gauged by the S&Ps Sector SPDR, has lagged all the 11 key sectors with a YTD return of less than +1%. Tellingly, the only other sector that gives Healthcare a bit of competition on the dismal rankings is the financial sector, also hounded by regulatory focus in addition to the direction of the monetary policy. Specifically, the Biotech sector (NASDAQ:IBB), as represented by the ETF IBB tracking the underlying Nasdaq Biotechnology Index, is down -17% this year till beginning of September. Nonetheless, there are some promising signs for biotech stocks as well. As can be observed from the chart above, the IBB was able to power its way above a key technical benchmark - the 200 day moving average (DMA) - during July. This was the achievement of an important milestone, after a consolidation range-bound period of 6 months. Presently, the IBB sits at its 200 day moving average. The small-and-midcap focused Biotech SPDR ETF (NYSEARCA:XBI) has fared much better than the larger-cap driven IBB, and is now about 10% above its 200 DMA. Merger an Acquisition (M&A) activity in the sector has ticked up with large cap biotech stock Medivation (NASDAQ:MDVN) being finally acquired by Pfizer (PFE) at a much higher premium than initially expected, and outbidding Sanofi (NYSE:SNY). Pfizer, which remains in an acquisition-hungry mode after its failed bid for Allergan (NYSE:AGN), has made clear that the Company is open to other deals, and was quick to announce a smaller deal later in the week when it purchased the antibiotics business of AstraZeneca (NYSE:AZN). In the meantime, Gilead (GILD), the cash-rich biotech stock looking for a new growth platform, made clear at an investment conference that it might consider making an investment in a Poly ADP ribose polymerase, commonly referred to as PARP, inhibitor to strengthen its oncology practice. Prior to the Pfizer acquisition of Medivation, which also has a PARP inhibitor, there were only two large pharmaceuticals with such inhibitor programs - AbbVie (NYSE:ABBV) and AstraZeneca. Gilead's announcement of its intention has provoked investor interest in oncology firms Tesaro (NASDAQ:TSRO), Clovis (NASDAQ:CLVS), Syndax (NASDAQ:SNDX), and Corvus (NASDAQ:CRVS), to name a few. Earlier in September, Cynapsus Therapeutics (NASDAQ:CYNA) was acquired by privately-held Sunovion Pharmaceutical for its Parkinson's disease treatment. Yesterday, Allergan announced a deal of its own, after its break-up with Pfizer, to buy biotech Vitae Pharmaceuticals (VTAE) for $639 million, at a premium of over 100% from prior day price. The uptick in acquisition activity is another promising sign that the Biotech sector has aggressive acquirers and compelling targets which are approaching and achieving key milestones. It is our strong belief that the valuation struggle of the biotech stocks is masking the progress that is being made by companies. While sector valuations have moved sideways and made little progress for most of the year, this muted period has allowed a number of biotech concerns to advance their programs and get closer to key milestone data. This should bode well for the biotech stocks once the systemic concerns are alleviated through clarity on the future of existing healthcare policies. The leading cause of a drag on biotech returns is the potential for new legislation that will broadly curb the industry's pricing power. There have been some well-document cases of price-angst this year, including most recently the one with Mylan's (NASDAQ:MYL) EpiPen which also was the subject of a tweet by Hillary Clinton - a tweet that knocked off over 3% from IBB. The overall subject of pricing has received additional attention because of the election year dynamics, and this attention has spurred greater legislative scrutiny as well with industry players being called for hearings to explain their company pricing behavior. While some pricing adjustments need to be made, a sweeping pricing overhaul can have material deleterious effects on industry innovation. 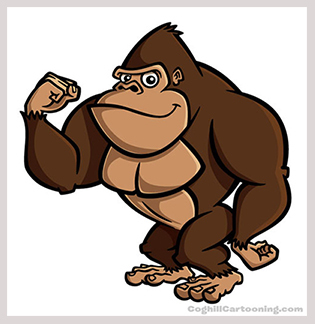 So at this point we find this 800-pound pricing-issue gorilla sitting on the other end of the valuation see-saw, who isn't going to budge till at least November 8, election day. A makeup of Congress that can limit the ability of any sweeping curbs on pricing to turn into law, will be considered highly favorable to sector valuation. It has been very hard to consistently make money in Biotech stocks this year. Our Prudent Biotech Portfolio is up +3% for the year, when IBB is down -17%. That's helpful, but still particularly painful when the broader market has recorded new highs, with the S&P 500 (NYSEARCA:SPY) up +6%, Nasdaq (NASDAQ:QQQ) up +4%, and our Graycell Smallcap Portfolio up +48% as of the beginning of September. Nonetheless, we remain invested in the sector at the present time. It is our belief, investors in the biotech sector have to be patient for another 6-weeks. We believe because of the work the sector has done this year to improve its fundamental standing, it is well-poised to rise once the systemic issue is lifted or receives more clarity in November, hopefully in its favor. In a Seeking Alpha article, Staying The Course, published earlier this week by us, it was argued that September and early October will be volatile, with the market poised to move higher thereafter as third quarter earnings are released. We believe the same template should work for the Biotech stocks as well, and barring any political upheaval in November, we can see a rapid rise in sector fortunes during the final months of the year. There are many attractive opportunities in the sector including Amgen (NASDAQ:AMGN), Biogen (NASDAQ:BIIB), Biomarin (NASDAQ:BMRN), Seattle Genetics (NASDAQ:SGEN), Ariad (NASDAQ:ARIA) Pharmaceuticals, Kite Pharma (NASDAQ:KITE), Exelis (NASDAQ:EXEL), Bluebird Bio (NASDAQ:BLUE), Radius Health (NASDAQ:RDUS), Exact Sciences (NASDAQ:EXAS), Nektar Therapeutics (NASDAQ:NKTR), Tesaro, Coherus Biosciences (NASDAQ:CHRS), Clovis Oncology, Corvus Pharmaceuticals, and Lexicon Pharmaceuticals (NASDAQ:LXRX), to name a few. However, to get some wind in the sails may require near-term patience till the broader issue of drug pricing curbs receives some measure of clarity post-election.